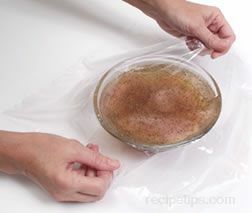 A liquid, such as vinegar, wine or oil, with spices or other flavorings added to it, which is made for the purpose of soaking a food in it to add flavor or to tenderize. 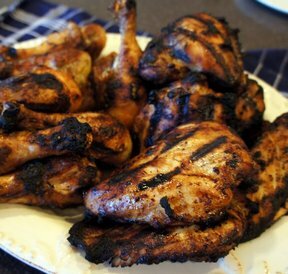 Marinade that has been in contact with uncooked meat should never be reused. If the marinade is to also be used for basting or in a sauce, be sure to set aside some from the batch before the uncooked meat is added.